A whale shark off the coast of Mexico. The Caribbean Sea was gentle as our group of snorkelers headed by boat northwest from Isla Mujeres, a Mexican island near Cancun, on a bright summer day. The turquoise water near the island turned dark blue as we made our way towards the Gulf of Mexico. A group of dolphins known locally as the “Rude Boys” made a brief appearance. After an hour-long ride, a small city seemed to appear on the horizon. As we approached, the city transformed into a group of boats collected together in a seemingly random spot, though once we got close, we saw the dorsal fins that attract people to jump into these deep waters. Our boat came to a stop on the edge of a swirling mass of giant sharks. My wife and daughter pulled on their snorkeling gear while I got the camera ready. As they slipped into the water, an enormous creature slid by the boat. One thought ran through my head: Am I crazy to bring my family to swim face to face with the largest shark in the world? 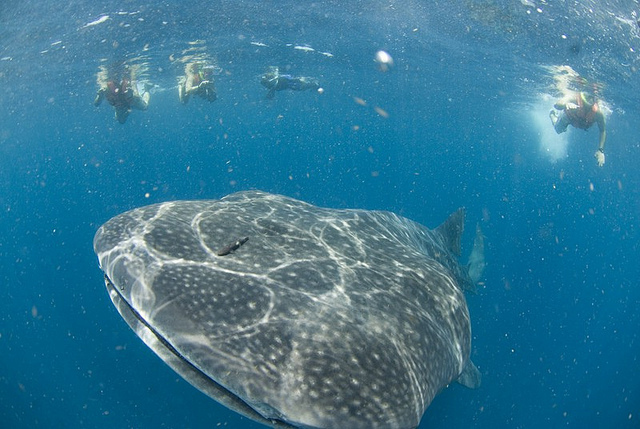 Whale sharks have been high on my list since a 2008 visit to Mexico’s Cabo Pulmo National Park resulted in a near miss. Since the launch of SEEtheWILD in 2011, this whale shark trip with our partner Reefs to Rockies has been the most popular program that our conservation tourism project promotes and it was finally time for me to experience it myself. I knew these animals were large; I’ve seen tons of photos, read the stories, and heard testimonials of their gigantism. None of that prepared me for the actual sight of a whale shark in the ocean. From the boat, their length is astonishing. But once you see them underwater, you realize that the overhead view is the proverbial tip of the iceberg. Our day started with a talk by our guide, Logan, who has lived most of her life on Isla Mujeres. Whale sharks are the island’s leading attraction and local operators make sure that every visitor knows about the opportunity to see them. As Logan made clear, these sharks pose no threat; they have no teeth and are not aggressive to humans. With their popularity come problems, however, and Logan made it very clear that touching these animals is strictly off limits. The most entertaining part of her monologue was a pantomime of the typical first reaction of people seeing the sharks for the first time – a combination of shock, wonder, and a bit of fear. Logan’s prediction of that initial shock was dead on. After donning my own snorkeling gear and getting my first underwater view, I quickly lifted my head, needing a second to comprehend what my eyes had just seen. Their easy grace in the water belies the fact that these animals can be up to 40 feet long and weigh up to 20 tons. To maintain their large size, they spend most of the day feeding by skimming the surface with their open mouths collecting plankton and fish eggs. The sea near Isla Mujeres is one of a few places around the world where whale sharks gather in large groups. Our group of 10 people rotated in and out of the boat with our two guides every few minutes, giving everyone several chances to see the sharks from the water. A whale shark surfaces off the coast of Mexico. For all their size, whale sharks are not immune to threats from humans. 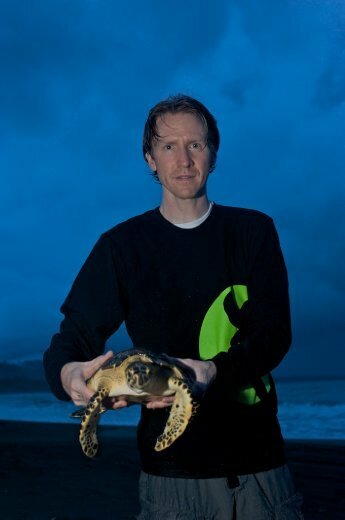 The International Union for the Conservation of Nature considers them “vulnerable” to threats such as boat strikes (primarily from larger vessels than the boat we were on), which can hurt or kill these amazing animals. In Asia for years they were caught in fisheries and can still be found in some fish markets. As snorkeling with whale sharks becomes more popular, new threats are popping up. In the Philippines, some operators are feeding whale sharks to attract them, running the risk of altering migration routes. At Isla Mujeres, when there are few sharks, self-imposed rules go out the window to ensure tourists get to see these animals up close. Mexican scientists are currently working to determine the maximum tourism capacity. Whale sharks can be found in tropical waters around the world, including Honduras, the Seychelles, and other places, but Isla Mujeres has become one of the most popular spots in the world. Whale shark tourism has grown dramatically over the past few years and their feeding aggregations draw thousands people each year. There were roughly 30 boats there on the morning we went out and double that by the time we left. If each boat had just ten tourists, that means 300 – 600 people there at one time. There are reportedly more than 200 boats with permits and quite a few more that participate illegally. Leading up to this trip, one of my biggest concerns was whether this crush of people would take away from the experience. Those fears were allayed one I was in the water. When there is a large aggregation, the water doesn’t feel crowded with people. Most boats follow a rule that only allows two people per guide, so the majority of people are in the boats at any given time. And the large group was spread out enough that we did not see another group of people nearby during the two hours we spent there. Whale shark tourism, when done right, can be a huge benefit to the sharks and other animals. The monetary value of the tourism creates an incentive to stop catching them for meat and several operators like Reefs to Rockies contribute towards conservation and research efforts like those of Ecocean, an organization that helps to research these little-known fish. Snorkelers can also contribute to a database by uploading their images to the whale shark library, which helps researchers learn about population dynamics. Towards the end of our visit, I recorded a video of two slow-moving sharks swimming to my left. Even with about 10 feet between us, my camera could only capture part of the sharks in the frame. As they slid by, I was startled with surprise as my view was suddenly impaired by a large spotted animal at a very close distance. It was another whale shark, swimming in the opposite direction came between me and the other sharks. Nearby, my wife and daughter laughed as I quickly backed out the way of the large caudal (rear) fin as it passed by. Maybe my choice of summer family entertainment really was a little bit crazy, but we wouldn’t trade the memories of this experience for any amusement park or camping trip. 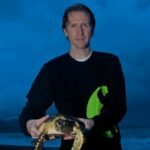 Brad Nahill is the co-founder of SEEtheWILD.